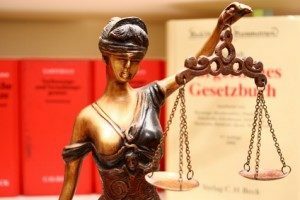 German exchange student achieves $5,000,000.00 settlement. The Jackson Law Firm achieved a $5,000,000.00 settlement on behalf of a German exchange student in Minnesota after a physician and hospital failed to properly diagnose a devastating injury to his leg. The student, Lukas (his name has been changed in order to comply with the case’s Confidential Settlement Agreement), had been sent to the United States at the tender age of 16 to study for a year in Minnesota. Shortly before the end of his exchange program, Lukas was taken to the emergency department of a local hospital after sustaining a knee injury in a water-skiing accident. In the emergency department he was seen by hospital nurses and an emergency physician and examined. 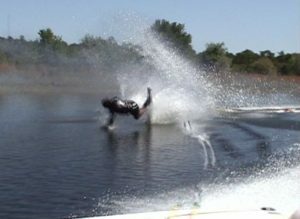 Lukas informed the nursing staff that he had been injured water-skiing and that he had felt his knee “pop out, then in”. Lukas was noted to have pain of “10” on a scale of “1-10.” He was documented as having “tingling” in his foot by the physician, even though the nurses had initially charted the foot as being “numb.” The physician recorded that he was able to put Lukas’ leg through a normal range of motion – meaning that his movement was not limited by the injury. While this German exchange student did not know the English word for dislocation, he explained to the physician, too, that he had felt his knee “pop out” and added that it had “popped in again.” No translator was provided for Lukas during his stay in the emergency department. Basically, through the impact with the water, Lukas had dislocated his knee, but before arriving at the hospital the dislocation had spontaneously reduced or corrected itself. The emergency physician told Lukas that he did not believe that the knee had dislocated, but did order x-rays. After diagnosing an avulsion fracture, which is a small fracture that is most often treated non-surgically, Lukas was sent home with his host parents for follow-up during the week with an orthopedist. However, unbeknownst to Lukas, the avulsion fracture was the least of his medical problems. As it turns out, Lukas had also experienced 1) a subtotal tibial avulsion tear of the anterior cruciate ligament; 2) a posterior cruciate ligament tear; and 3) a left medial meniscus tear (posterior horn). This meant that his knee was incredibly unstable and could not possibly have been put through normal range of motion exercises in the emergency department. This fact was but one issue that called the examination in the emergency department into question. However, these additional injuries also set the stage for Lukas to develop a far more significant medical emergency. Most of Lukas’ injuries are not visible on simple x-rays. The crux of this case, therefore, turned on the fact that the mechanism of the injury, i.e., the high-velocity impact, and the patient’s complaints should have alerted this physician that there might be a more significant danger for this patient. In fact, this type of injury is considered to be a vascular emergency because of the risk of arterial compromise, i.e., damage. In this case, the patient’s history and mechanism of injury should have been enough to raise the concern for a dislocation in a prudent medical doctor. That concern then leads the prudent physician to think popliteal neurovascular injury. If so, additional testing is warranted or, at minimum, the patient should be been kept overnight for observation. Instead, Lukas was discharged. Lukas was an avid tennis player. Before the accident, he played soccer and also jogged, skied, engaged in in-line skating, and rode his bicycle. All of these activities became difficult to impossible for Lukas due to his injuries. Obviously, so much of Lukas’ life has been impacted on a daily basis. The Jackson Law Firm hired ten experts to help properly prepare this case for trial, including an emergency room physician, a pediatric emergency room physician, an orthopedic surgeon, a German orthopedic surgeon to address the care in Germany, a vascular surgeon, a physiatrist, a psychologist, a life care planner, a German business and occupational expert, and an economist. Lukas was flown to the United States so that most of the hired experts could evaluate him in person. The reports from these experts were comprehensive and painted a picture for the defense that trial presented a significant risk to them. While Minnesota allows health care providers to opt out of mediation, ultimately it was the defendants – when faced with the overwhelming evidence that would be put before a jury – who requested the mediation. Ultimately, The Jackson Law Firm achieved a $5,000,000.00 settlement for this German exchange student. When you hire a law firm to represent you, consider two important factors: 1) does this law firm have the experience to handle my case and 2) will they be able to properly prepare my case for trial, so that the defendant[s] fully understand the risk of actually going to trial. These two factors will go a long way toward ensuring your success in your case. While other firms may claim to have such skills and ability, take the time to verify the truth of those claims. Lukas’ family did take the time to fully vet this law firm, and now have the peace of mind of knowing that they achieved a significant settlement for Lukas. In fact, the size of the settlement exceeded norms within the Minnesota medical malpractice community. The nature and size of the settlement has allowed Lukas to pursue a new career path in the field of engineering. A bright young man, Lukas – through the resolution of this difficult chapter in his life – has been able to make peace with his life. In fact, I and two other attorneys within the firm have visited Lukas and his family several times in Germany since the resolution of the case, and still hear from them on a regular basis. It is a reflection of how we see our clients –an extended family for whom we diligently strive for success. The nature of this case underscores another point which lies at the core of this law firm. 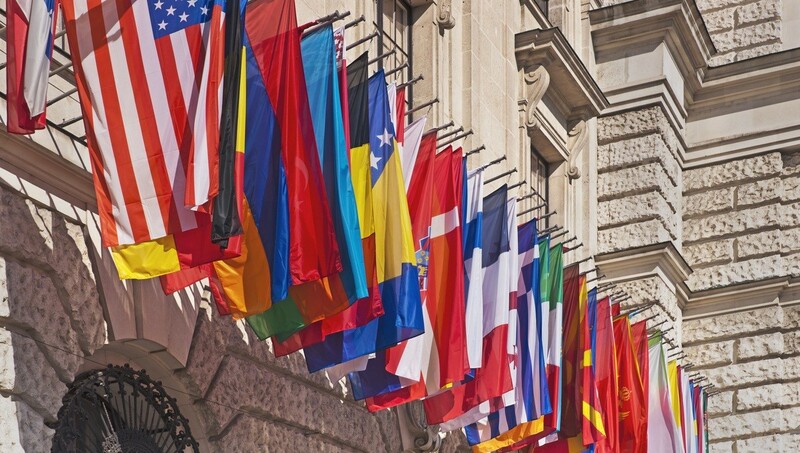 We routinely represent German clients in lawsuits throughout the United States. A generic American attorney / law firm simply cannot understand a German client’s needs, based upon language and cultural differences, on the same level that The Jackson Law Firm is able to offer. Our ability to handle these nuances often is the key to a successful outcome. Similarly, in those firms that use a German attorney inexperienced in such matters to bridge the gap for their U.S. counterparts, mistakes are bound to creep into the process. Insist on someone not only capable of speaking the language but also experienced in your type of case – we look forward to serving your needs.